Step outside your student accommodation and experience the excitement of living in one of the world’s greatest cities. Walk over to the banks of the Seine River in less than five minutes and hang out on Île aux Cygnes, an island in the middle of the river, to relax by the waterside. Cross over to the Left Bank and continue to the Eiffel Tower and ride up to the top for amazing views over Paris. When you’re hungry, head around the corner for dinner at Sushi Gourmet restaurant, then jump on the Metro, seven minutes away, to head out into the city to meet your friends. 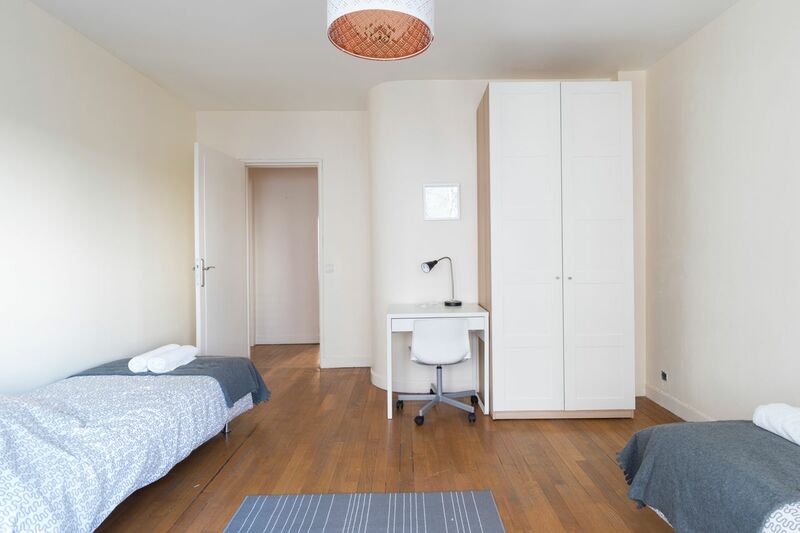 Set up your new student life in a three-bedroom apartment at 6 rue Jean de la Fontaine. Choose from two twin rooms or one single room as your private bedroom. You can ride the Metro to Université Paris-Sorbonne in approximately 35 minutes or École Normale Supérieure in 45 minutes. You can also walk to the I.U.T. Paris Descartes in 20 minutes or hop the bus and be there in about 13 minutes. There’s also a bike share station on the block, so you can pedal to class with ease. After a full day of classes, stop in at La Fontaine market right next door to pick up groceries for the week, then swing by the post office across the street to mail any letters or packages to your family back home. Come back to your apartment and take a little break before you dive back into your homework. Later on, whip up a meal in your fully-equipped kitchen, then organise a load of laundry to do in the washing machine. As you dry your clothes on the rack, you can start a university project with Wi-Fi that comes with your apartment. As your night winds down, stream one of your favorite shows and kick back in your living room before finishing up a reading assignment in your bed. All other utilities are included in your new home, so you don’t have to worry about extra costs. And with a monthly cleaning service, you will have more time to explore Paris. If any issues come up, you can call a 24/7 emergency service line or contact the in-house maintenance staff. 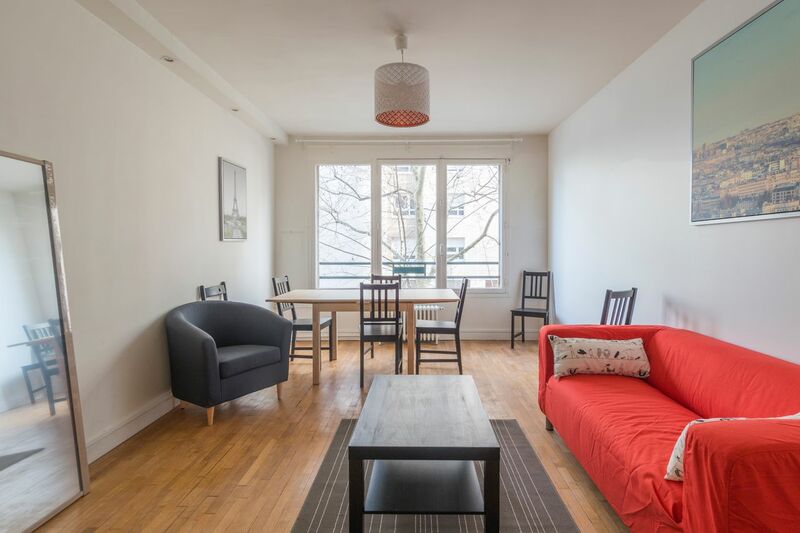 Wir haben leider keine Unterkunft gefunden, die deinen Wünschen entspricht.Alle Mehrbettzimmer in Comforts of Home - 6 Rue Jean de la Fontaine ansehen. 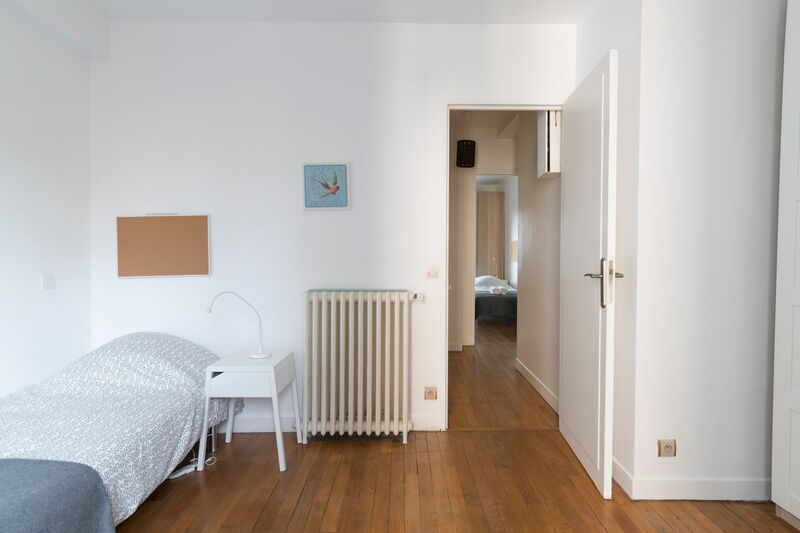 Wir haben leider keine Unterkunft gefunden, die deinen Wünschen entspricht.Alle Privatzimmer in Comforts of Home - 6 Rue Jean de la Fontaine ansehen.